Roundtable Contributors: Estelle Hallick (This Happy Place Blog), Alan Mize, Blake Taylor (BlakeOnline.com), and Andrew (Disney Hipsters Blog). For a lot of us, our electronic gadgets are attached to us like a third limb. As much as I hate to admit it, I keep my iPhone with me at all times, even while on vacation. I want to share my WDW adventures with my friends on twitter and Instagram. Not to mention that as Disney continues to roll out new “next gen” vacation planning tools like My Disney Experience, I find myself on my phone way more than I want to be while on vacation. All of this social networking and app use tends to make very short work of the battery on my iPhone. Disney, in their infinite wisdom, recognizes this and has started to install charging stations in the parks. The Tangled bathroom area already had some charging stations installed when that section of Fantasyland opened and this week, more charging stations were opened in the Storybook Circus area. I definitely see the need for this because more and more of society (myself included) are glued to their technology. As it stands now, there are only a handful of charging stations so it clearly isn’t going to keep every guest plugged in all day, but if you’re waiting outside the restroom for a family member, go ahead and plug in to get a little charge while you wait. As for me, I’m heading down to WDW later this fall and I think I’m going to try to stay unplugged during the day. Instead, I’ll enjoy the parks, my friends, and my family. Social Media will still be there when I get back to the room at night. In perhaps the biggest (though not very big...) surprise news of the week, Prince Eric's Village Market will be opening soon in New Fantasyland! As far as I know this small food location was completely out of the blue for most fans, I for one had heard nothing about it. Even though Prince Eric's is hardly a full on counter service restaurant, any addition to the severely lacking New Fantasyland is a plus in my book. The new location will be very similar to other "fresh fruit and drinks" stands that appear in each park...offering light snacks that are somewhat more healthy than say, a churro. I am happy to note that my beloved pickle in a bag will be available. Score. A trailer has surfaced for the December 10 Blu-ray debut of Mary Poppins, and if its opening moments elicit chills. It's marvelously put together and reminds us that this really is the quintessential Disney film, the one that culminated everything Walt learned over his vast career and presented it in a single project full of magic. Newly created bonus features are sparse (they include something called "Mary-Oke" and a sneak peek at Saving Mr. Banks). Honestly, though, the carry-over bonuses from previous Mary Poppins DVD releases are so brilliantly thorough that it's completely fine that there's not much new. There's already plenty to see, and all of it is great. The main attraction here is the high definition, and, of course, all the grandeur and publicity that comes with a new Blu-ray release. I think I speak for everyone in saying it's nice to have Ms. Poppins back in the spotlight. I'm getting a little literary on you this week, but Kirkus released a list of anticipated fall biographies and I'm thrilled to see Jim Henson: The Biography by Brian Jay Jones made the cut. With the exception of a few children's biographies and books based on his work, there isn't really a book out there about Jim the Man so that's why this is so exciting. According to an interview in Publishers Weekly, it took two years before the Henson family was comfortable with the idea of Jones writing a biography; he was granted interviews with many close to Jim as well as access to the Henson archives. This book release is long overdue, and I urge you to go and pre-order your copy right now. The most dramatic splinter ever! SPLINTER GROUP -- “Body Wars” is a thrilling, new simulator-based attraction at Wonders of Life, the newest pavilion at Walt Disney World Epcot Center. The ride takes place in the future when miniaturization is commonplace. Guests travel into a human body to watch as a scientist swims around a massive-looking splinter to gather research on the immune system. 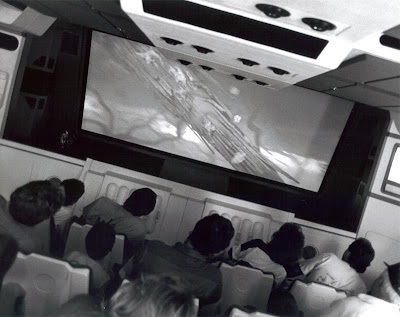 The 40-seat theater in which guests ride into the human body tilts, rocks and careens in synchronization with the action on the film they watch -- and really gets exciting when they must rescue the scientist, who unexpectedly gets swept into the bloodstream and through the heart and lungs. Wonders of Life is presented by Metropolitan Life. We you go out for a night on the town, the most common night includes some combination of dinner, music, or a movie. Of course, when you are at Walt Disney World, it feels like every night is a special night out. However, if you want that touch of something familiar, without going into the parks, there are plenty of ways to get that date night feel on property. Let’s go ahead and rule out Downtown Disney right now. Yes, there is a movie theater. Yes, there are a bunch of restaurants. 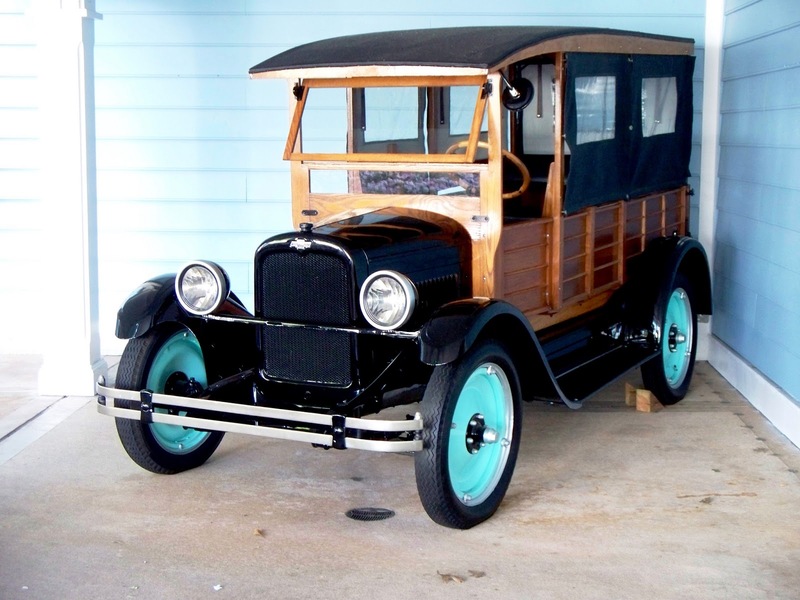 Yes, there is music and plenty of other recreational activities to find there. 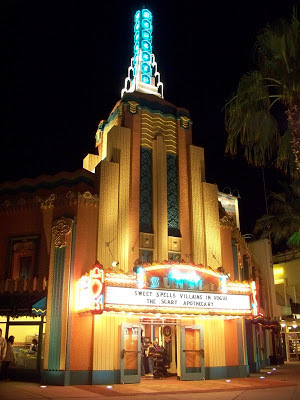 The problem is, Downtown Disney is the easy answer, and there are so many other wonderful opportunities that can be overlooked by running to the entertainment district. There is no lack of quality restaurants that you can grab dinner at, many of which may not require an Advance Dining Reservation. When you are thinking of where to eat, think about what you want to eat. Classical dishes? 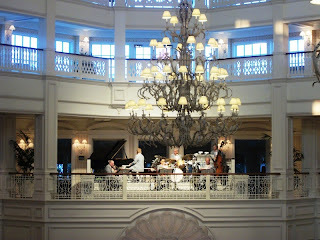 Why not try the Grand Floridian Cafe. Feeling something Cajun? Boatwright’s is your ticket. Want innovative culinary creations? The Wave is the place to be. The list goes on and on, you just have to know what you are looking for and be flexible when it comes to what time constitutes dinner time. After, or maybe before, dinner you want to take in a movie. Well, this is Walt Disney World where it seems that films come to life on every single corner. Of course, there is no better way to see a movie then under the stars. Many of the resorts offer up a way to see a Disney movie, rated PG or G, each and every night. If you’re asking for my recommendation, there is no better spot than at Fort Wilderness just following the campfire show. Speaking of the campfire show, we did talk about music earlier too, right? Of course we did. So, you could opt for the campfire show, which includes a set list of family favorite sing-a-long songs with a campfire perfect for roasting marshmallows. 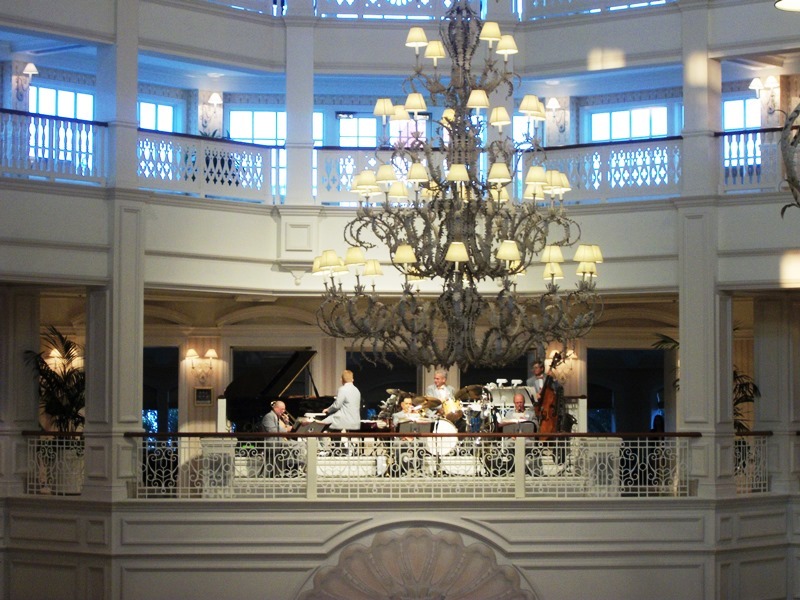 Other prime musical acts include YeHaa Bob Jackson at Port Orleans – Riverside for a truly interactive rollicking piano show or get into the swing of the big band with the Grand Floridian Society Orchestra. Oh, and there is always the music and spectacle of the Electrical Water Pageant to be found at any of the resort spots around the Seven Seas Lagoon and Bay Lake. Want to add in a little romance? Sure there are boat rentals, but you can do just as well grabbing a resort motor launch, or maybe even a quiet horse drawn jaunt around Port Orleans or Fort Wilderness. The point is, it doesn’t take much to put together a great night on the town at Walt Disney World, all you have to do is dig a little deeper to find the set of dining and activities that is right for you! The question is, no parks, no Downtown Disney, how do you spend a perfect evening amongst resorts? You’ve probably noticed a consistent lack of consistency around the Main Street Gazette over the past couple of weeks. I’m going to level with you. I’ve taken on a new role within the organization that pays the bills (oh, how I wish I could make the Gazette pay the bills), and it has drained the amount of personal hours I’ve had to pour into writing for the Gazette. Does that mean I’m going away? Does this mean that the Gazette is going to continue to suffer? Absolutely not! I am going to be doing a little bit of shuffling of when specific types of articles are published, but expect to start seeing a return to a regular schedule starting in September. Sunday’s Disney This Week and Thursday’s World News Roundtable are going to merge into a single article and begin running on Fridays. The WDW Record segment which had been running on Fridays will shift to Thursdays. My personal observations which appear on Mondays under the Perspective banner will continue, Tuesday’s World of Yesterday, and Wednesday’s Epicurean Displays will appear as regularly scheduled. In case you are wondering why I am beating the drum and calling for the Main Street Gazette to return to its previous level of dedication is two-fold. For starters, even on the days when I am tired, even on the days when I am bone-weary, I need each and every one of you to hold me accountable and make sure that I am holding myself to the high standards I expect of myself and that you deserve. Secondly, today is a very special day for me. I don’t suspect many of you actually saw those first few articles six years ago, but on this date in 2007 the Main Street Gazette first went to the presses and put itself out there to share thoughts, history, reviews, recipes, little details, and all the other things we’ve enjoyed writing about for the very first time. That’s right, today is our sixth birthday! I hope to bring more of the interactivity we have dabbled with this year, from Instagram’s #disaday to our weekly round of Disney Post It on Twitter, but those are going to have to wait for now. Also, I would love to hear from all of you out there about what you would like to see more of from the Gazette, here on the site, elsewhere on the internet, or even into real life! You have made the Main Street Gazette the success that it is, and it is time to make sure your voices are heard loud and clear! Thank you for listening to my blathering today, and every day for that matter. It has truly been one of the wildest rides in the wilderness, but I wouldn’t change a day of it! Here’s hoping we are all here many, many years from now, because I’ve still got a lot to say! Is it weird that I'm totally excited about seeing Escape to Tomorrow, that Sundance film secretly filmed at the Disney theme parks? It was announced this week that we should have our chance on October 11th when the movie makes its way to cable and limited theaters. While Randy Moore's movie generated a lot of buzz at the film festival, he was petrified that Disney might shut down the film once they figured out what he was doing. His actors were sworn to secrecy, his best friends were left in the dark, and he even had the film edited outside of the United States. The movie is about a man on vacation with his wife and kids in the happiest place on Earth, when he finds out he lost his job. Everything gets a little eerie after that. I kind of like the idea of things going awry in a place where you are supposed to keep the real world behind. This week there was a total Epcot game changer. Official Starbucks signage went up at the Fountainview, in Innoventions Plaza. Why is this so important? We've known for quite a while that this would be the location of Starbucks at Epcot. The big news here is that IT ACTUALLY LOOKS NICE. If you recall, the previous Fountainview signage was a gaudy scaffolding with a very 90's looking sign...plus a hideous vinyl placard announcing their wares. The new sign is very simple, futuristic, and totally old school Epcot. The Starbucks branding is done tastefully as well, not too "in your face." The Fountainview, which closed earlier this year for the refurbishment, used to serve icecream and other frozen treats but will now feature an extensive array of Starbucks branded goodies when it reopens at the beginning of September. Yippy! Disney foodies can rejoice! Disney confirmed the long awaited (at least by this Disney fan) reopening of the California Grill high atop the Contemporary Resort. After nearly six months, the reimagined restaurant will be reopening on September 9th. More importantly for those of us with trips coming up, ADR’s can be booked beginning August 26th. Not only has the interior of the restaurant been remodeled including a new wine display and two new 10 top tables, the menu will have some new items as well. Several new dishes have been announced by Chef Brian Piasecki including “pork – two ways” which includes a grilled tenderloin and lacquered pork belly served with goat cheese polenta and mushrooms. Yeah, I’m going to go ahead and pencil that in for my entrée on my next visit. I’m glad this great restaurant is finally ready to see guests again and I can’t wait to try for ADR’s later this month! Soon, Disneyland will have its first-ever meet & greet with a Marvel character as Thor sets up shop at the Happiest Place on Earth. A specific location and start date have yet to be announced. The Marvel superheroes are slowly starting to inch their way into a greater presence in the parks, with Stark Industries having just opened inside Disneyland's Innoventions; Iron Man, Spider Man, and Captain America characters appearing at the D23 Expo; and the Marvel-themed play area coming this fall to the Disney Magic cruise ship. Disney is finally really starting to take ownership for these iconic personalities after purchasing Marvel back in 2009. The bizarre part of all this, though, is that barely anything can be done with Marvel at Walt Disney World due to contractual issues that state Marvel attractions in Florida are to remain exclusive to Universal Studios. Where that boundary rests is a better question... a whole ride (like Universal's Spider Man) would clearly meet these circumstances, so Imagineers can't whip up their own Spider Man attraction. But then, the Avengerail and the Iron Manorail are ok? So where do walk-around meet & greet characters fit into those legalities? That remains unclear. I don't have a particular problem with Marvel characters in Disney theme parks, except for the fact that in my mind, they've always been associated with Universal. For that reason, to see them so much part of the Disney family now is a bit disorienting. I like it, it's just a bit of a culture shock.